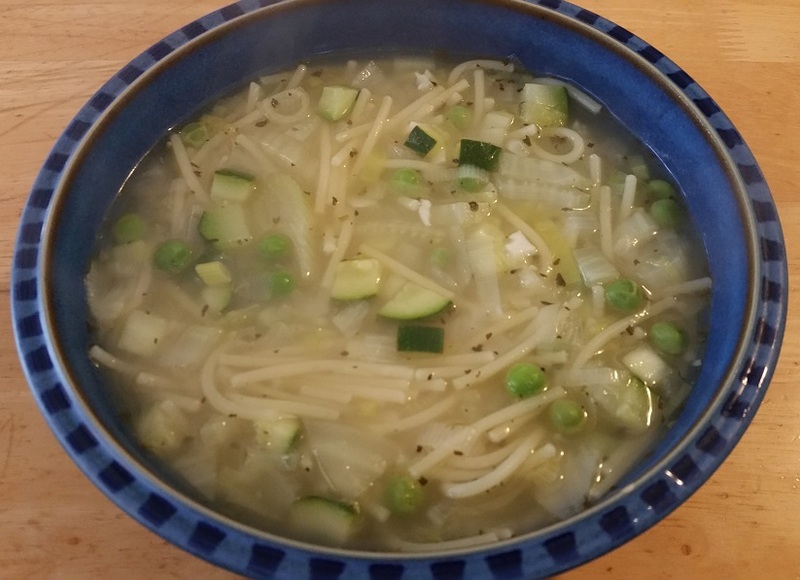 I usually think of minestrone as a hearty, tomato-based Italian soup with pasta and beans but this green minestrone soup is a much lighter version. It was inspired by the recipe for “Minestrone verde with saffron arborio rice” in the recipe book from the lovely London-based vegetarian restaurant, Mildred’s, but my version is much simplified and adapted to what I had to hand. The original recipe, served with a dollop of mascarpone, does look great though so I’d like to give that a try some time. I love Italy and all things Italian and often find myself buying spaghetti or linguine just because it looks nice. You see so many different brands in supermarkets and delis and I find it really hard not to buy it. 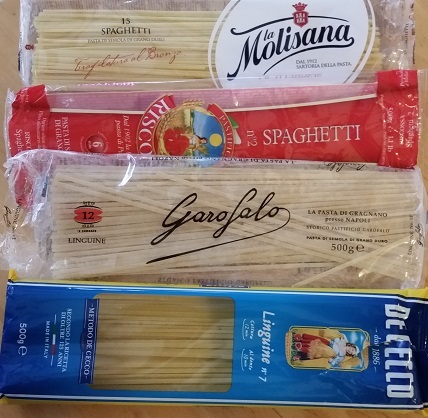 This means we regularly end up with lots of ends of packets of pasta, all different makes, and breaking them up and putting them in soup is a good way of using them up. Of course you can vary the vegetables in the minestrone soup depending on what you have to hand and what you like. You can substitute any shape of pasta or even rice for the spaghetti, just adjust the cooking time accordingly, or you can omit it altogether. I am also sharing this recipe as part of the February “No Croutons Required” challenge. This soup and salad challenge is hosted by Jacqueline from Tinned Tomatoes and Lisa from Lisa’s Kitchen so thank you to both of them. Do head over and check out the other recipes. This is my first ever challenge so let’s hope I’ve done it all right! Heat the olive oil in a large pan and fry the onion and garlic gently for a few minutes. Add the leeks and fennel and cook for a further 5 minutes. Add the stock and dried basil and mint and bring to the boil. Break the spaghetti (if using) into short pieces and add. Add the courgette and peas and simmer for a further 3 minutes. Add the lemon juice and black pepper to taste. I just found your blog, and wow! I have so many new recipes I want to try out now. This sounds delicious! I’m a major soup fan, so this is right up my street. Hi Ash! Thank you for your comment. I’m glad you are enjoying my blog. I make a lot of homemade soup so there will be more recipes coming.